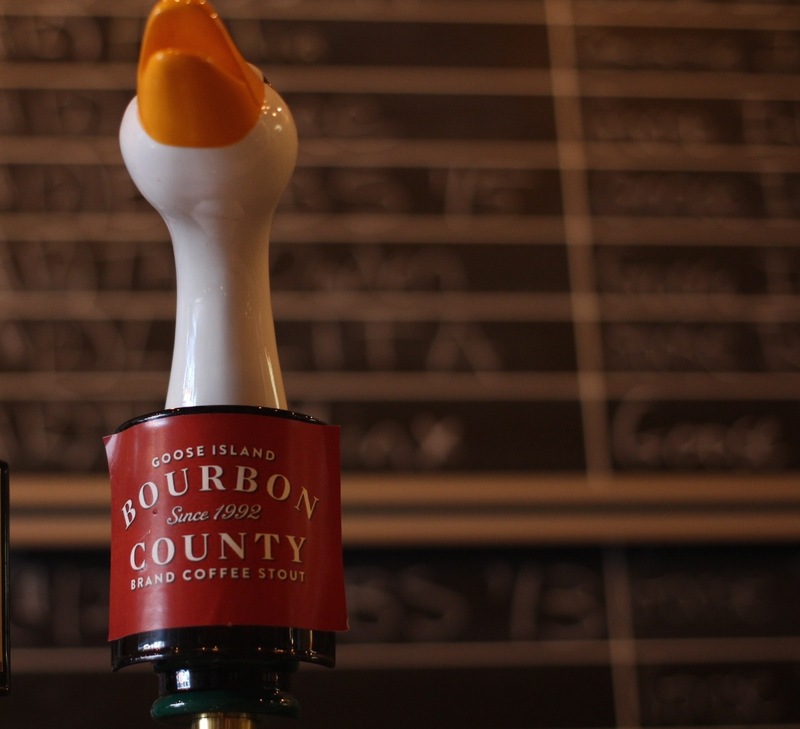 Black Friday’s Goose Island Bourbon County release has come and gone and everyone survived the mayhem! This year’s event at Top Hops in the Lower East Side was by far the most popular beer drop of 2015, with hundreds of people showing up to grab the prized bottles released only once a year. The newest lineup was in even more demand than usual due to the inclusion of the very special and very limited reincarnation of Bourbon County Rare. The first campers destroyed last year’s record of 4:30 a.m. Marlon Irrizarry traveled by train from Long Island to be first in line, arriving at 8 p.m. on Thanksgiving Day. He left his family’s Thanksgiving gathering to get the beer. “My mom thinks I’m crazy,” says Irrizarry. When asked what he’ll do with his prized bottle of Bourbon County Rare, Irrizarry—stationed in Connecticut in the U.S. Navy’s Medical Corp—says he plans to share it with the regulars at his favorite bar: High 5’s in New London, CT. He’ll surely get a lot of high fives (ho!, ho!) when he brings in the bottle to split among his friends. 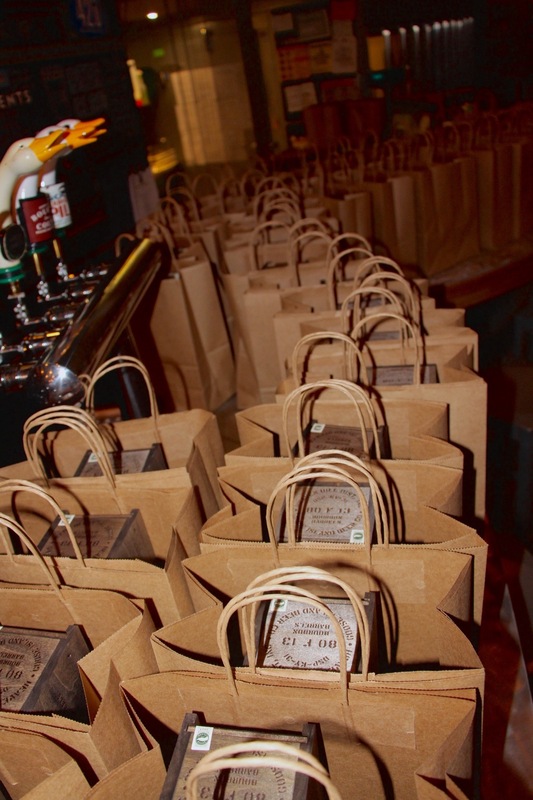 Somewhere between 100 and 150 people obtained the highly sought-after beer. If you didn’t make it in line by around 4:45 a.m., you probably missed out. 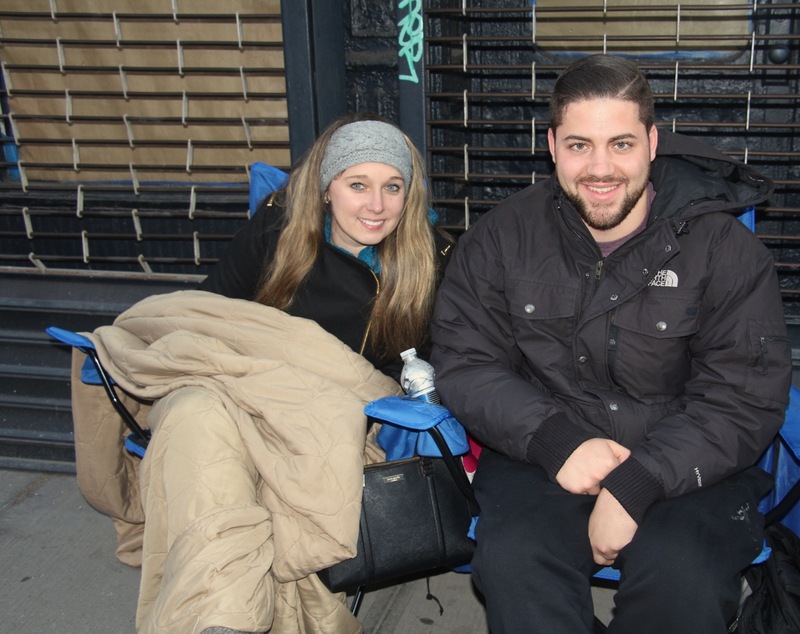 Matthew Szatkowski and Julia Ward arrived around 1 a.m. and the line was already around the corner of Orchard Street. The couple set off from New Jersey around midnight and drove 45 minutes to camp out. 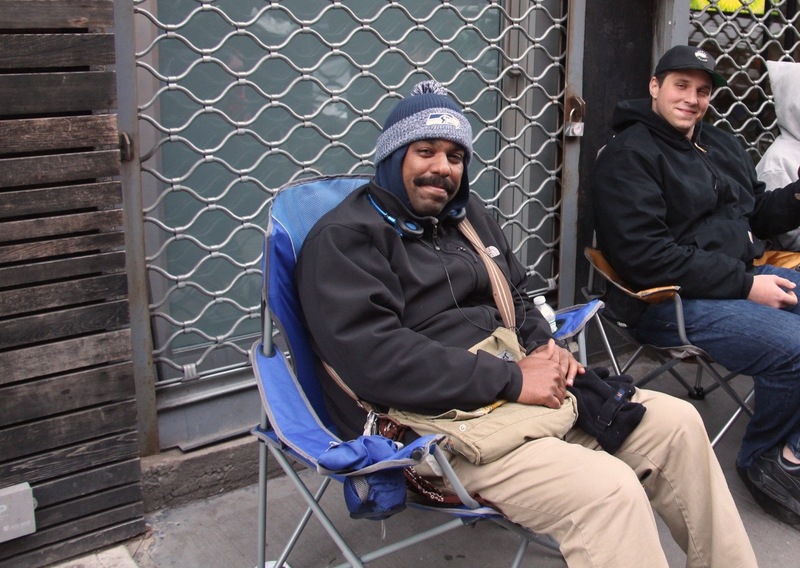 Once sales began at 9 a.m., the line stretched around the block to Delancey Street, which was about twice as long as last year’s line. Sales were fast and efficient and lasted only about two hours. Not a single person left empty handed. By the end, the last people in line could still buy up to two cases of BCBS each as well as two bottles of Barleywine. The bar reopened (and quickly filled up) a short time later at 12 p.m. to serve the entire 2015 lineup to Bourbon County fans. Sal Short from New Jersey was one of the last people in line. He says he was happy to get there around 8 a.m. and to still get one of his favorite beers of all time. He’s been coming to Top Hops every Black Friday since 2013 and says he was glad to get the bottles without having to wake up as early as many of the others in attendance. Matthew Szatkowski and Julia Ward arrived around 1 a.m.